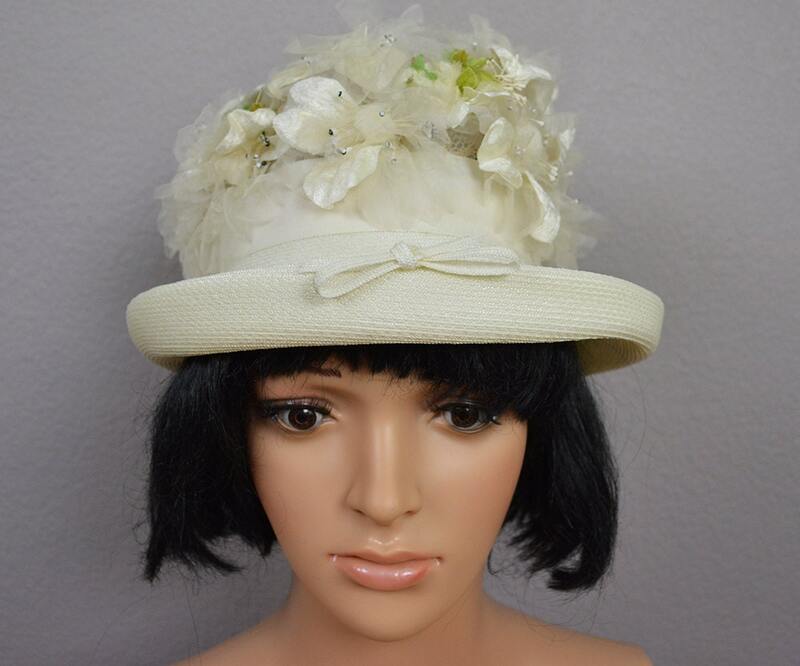 Gorgeous 60's floral hat for sale. 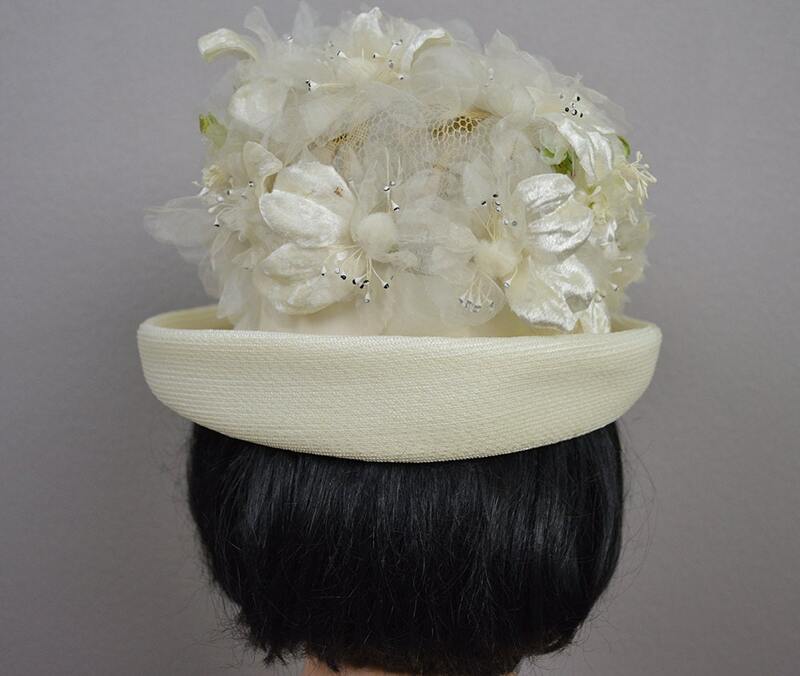 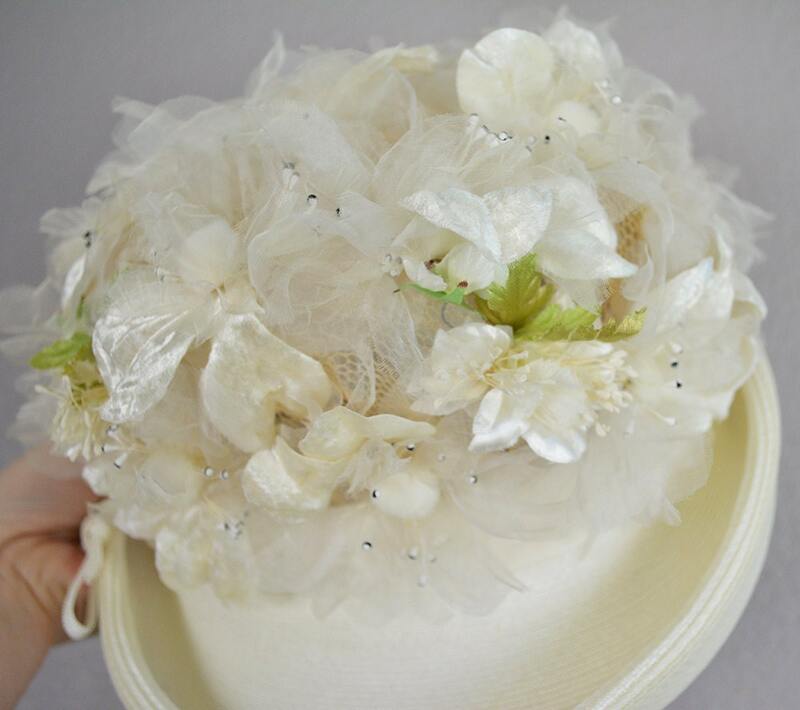 This is a formal bowler hat with white fabric appliqué flowers. 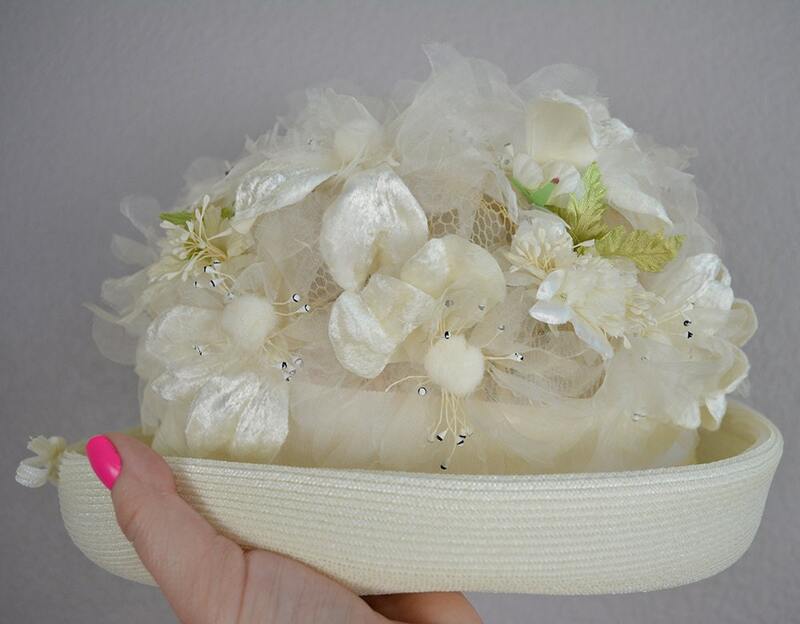 The hat also has a beautiful crisp white ribbon that goes all the way around and a tiny white bow on the front. 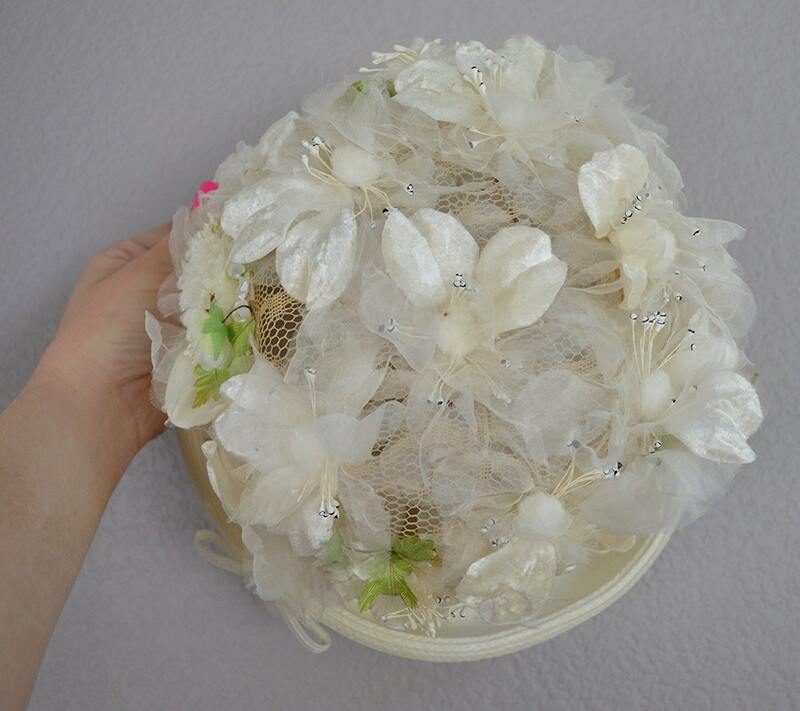 It was excellently maintained over the years and is in great vintage condition.